For National Football Authority, we preview the Week 17 matchup between the Carolina Panthers and the New Orleans Saints. Can Cam Newton and Carolina keep up with the high-powered offense of Drew Brees and the Saints? Will Saints TE Jimmy Graham wreak havoc on the Panthers once again? Click here to find out. For National Football Authority, we break down the New Orleans Saints’ big 49-24 Monday night victory over the New York Giants. 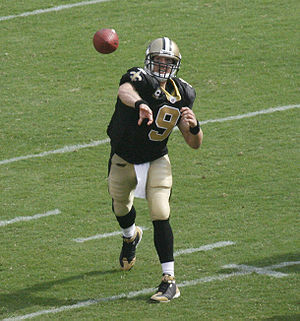 We focus on QB Drew Brees’ performance, and why he says this offense could be better than the Super Bowl version. Plus we assess what went wrong for the Giants. Click here to read more about it.